On August 11, 1943, conscientious objectors and other prisoners staged a 135-day hunger strike to protest racial segregation in the Danbury prison’s dining hall. Built in 1932 and opened in 1940 the Federal Correctional Institution, also known as the Danbury prison, became a site of political protest. During World War II, the prison was one of several facilities nationwide to house conscientious objectors, men who, because of religious or ethical beliefs, refused to participate in the war. At the time one out of six inmates held in United States’ federal prisons was a conscientious objector. The strike on August 11 over racial segregation is especially significant as no prisons up to that point had been desegregated. When the warden announced, on December 23, 1943, that the hall would be integrated as of February 1, the strikers ended the action and Danbury became the first federal facility with integrated meals. 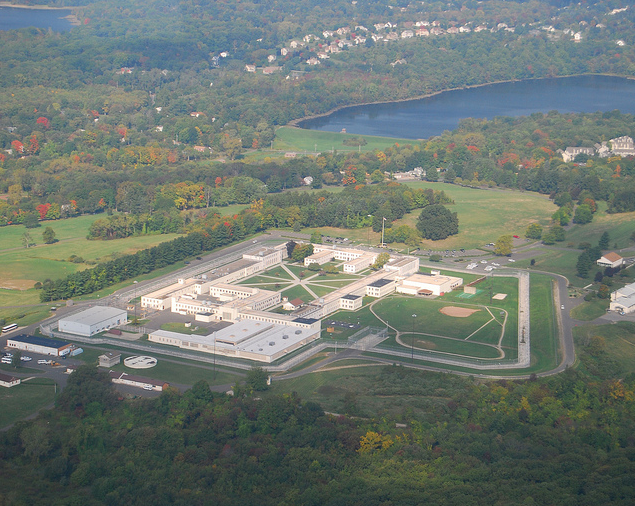 The Federal Correctional Institution in Danbury now houses low-security female offenders.